PUBG is looking to prove doubters wrong with its first coordinated, rather expensive push into esports. With unified point systems and numerous competitive regions, admittedly there’s a lot going on and it may be a little difficult to get a full scope as to what PUBG. Corp is planning. Follow along as we break down exactly what is in store for PUBG esports from early January 2019. Before we get into the detailed plans that PUBG Corp. has put in place, it’s worth looking at what has been and gone. As the game went from a popular casual affair to a budding competitive title, a number of tournament organisers and leagues became staples in the scene. The likes of PUBGOnline, StarLadder, Auzom, Global Loot League, and Curse Trials all become constant figures in Western PUBG, but rulesets and point systems differed. Sporadic LAN events, sprawling online leagues, and a ton of showmatches became the regular. That will all change from next year, though. 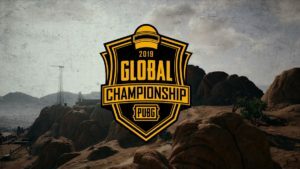 PUBG Corp. has outlined nine competitive regions that will all take part in the 2019 season; six of which will have professional leagues, with the three remaining regions adopting a pro circuit format (which isn’t actually all that different from the current norm). North America (National PUBG League from OGN), Europe (PUBG Europe League from StarLadder), Korea (PUBG Korea League from PUBG Corp.), Japan (PUBG Japan Series from DMM GAMES), China, and Chinese Taipei/Hong Kong/Macao will all operate pro leagues. As you can see, many of them have already been announced or pre-existed. The three regions that will have a pro circuit implemented are Southeast Asia, Latin America, and Oceania. Each of the nine regions will operate within a unified, universal season with three defined phases. Phase 1 will run from late January to the end of March, Phase 2 spans from early May to June, and Phase 3 takes place over mid-August to mid-October. Outside of these three phases will come international tournaments, an All-Star match with popular professional players competing in exhibition matches, and a renovated World Championship. There will be global events – which are yet to be announced – in April, and July. The All-Star Games event will be hosted in August, and the 2019 Global Championship will wrap up the season in November. This cumulative tournament will have an initial prize pool of $2 million with additional bonuses currently in consideration. More tournaments from third-party organisers are in the works, too. 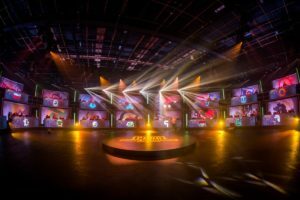 When the leagues and circuits get underway, they will all operate on a universal, unified ruleset and points system – features that professional players, analysts, personalities, and fans have all been clambering for quite some time. With 16 four-man teams competing on the same two maps – Erangel and Miramar – knowing exactly how to map their way to victory, competition will be at its best yet. Earlier this year, PUBG Corp. announced global rules ahead of the season’s unveiling. Any player that falls under the age of 18 while competition is active will be ineligible to play, which was a drastic enough change on its own. A second rule was introduced, too: each team must have at least three legal citizens or permanent residents from its region. These two guidelines forced an alarming amount of teams to make changes, with some still working things out. It all goes towards creating fair competition, however. While some Pro Leagues are yet to be unveiled and third-party tournaments are yet to be announced, PUBG Corp. is implementing a ton of structure in its attempt to solidify its game’s stance as an esport. Some may point towards the H1Z1 Pro League’s closure as a way to cast scepticism towards these plans, but this upcoming season on a whole other level in every measurable way.